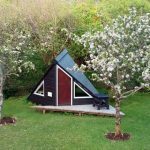 Sleepy Hut is a 2.5m high insulated wooden hut nestled within a peaceful woodland setting known as Sleepy Hollows. 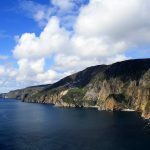 Surrounded by a haven of birdsong, river-walk only 300m from the front door, and just off the Wild Atlantic Way – a great base for exploring north-west County Donegal. 3 minute stroll to local pubs Teach Tessie, and Leo’s Tavern. 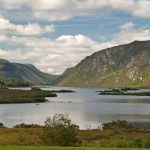 9 minute drive from Blue Flag beach (Carrickfinn), 15 minute from Errigal Mountain, 25 minute from Glenveagh Castle & National Park. 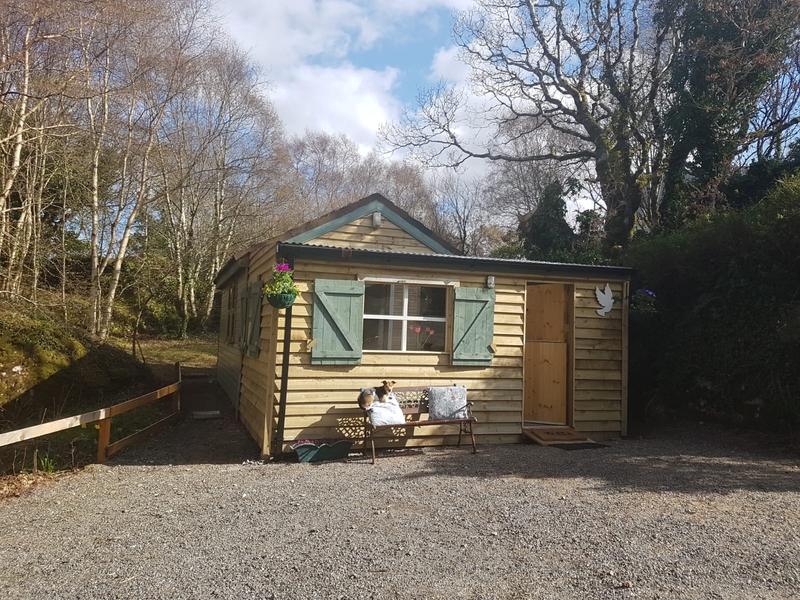 The hut is situated on our small, adult-only campsite, and includes a private stone covered patio and small grass garden area, with a communal campfire. 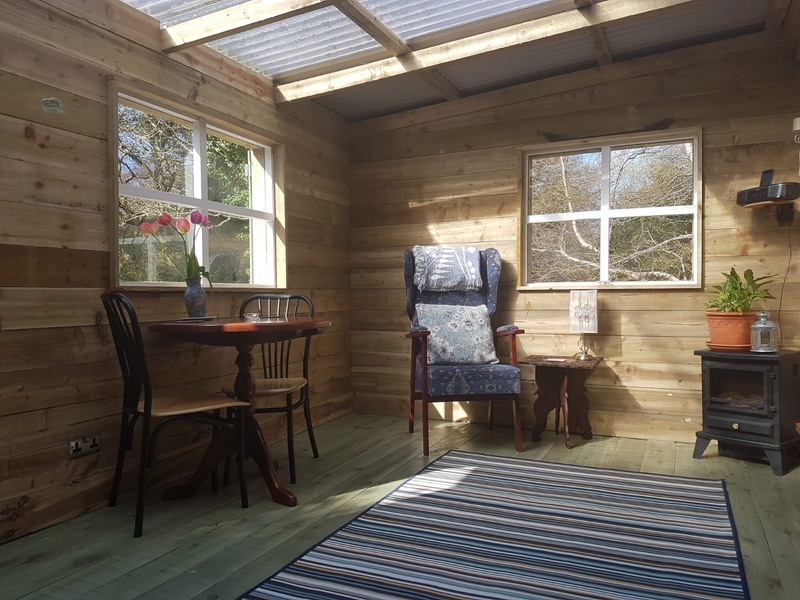 It has insulated double-skinned walls and suitable for use all year round – climbers and walkers can make good use of the hut in the winter months – without having to worry about dealing with a wet tent. Inside the Hut is a small hard surface area (for shoes, bags etc) and a large padded floor – this is the sleeping area. 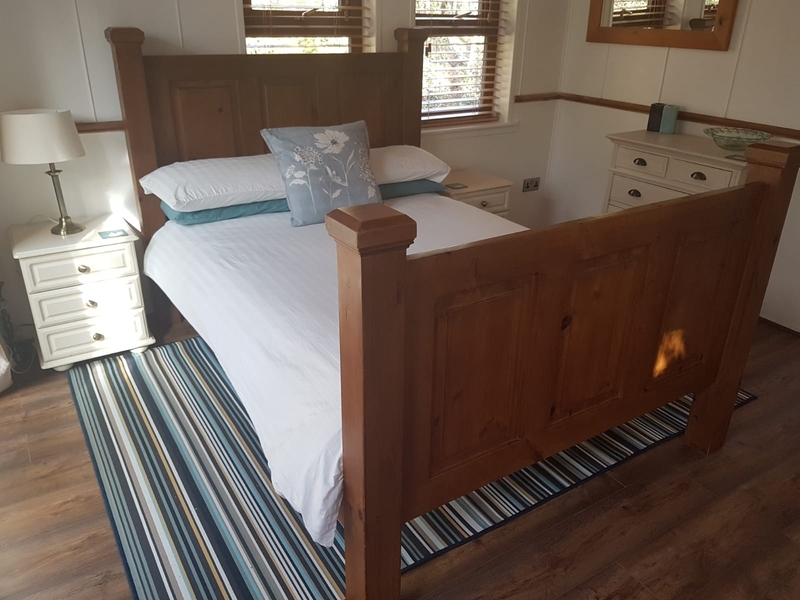 It is ideal for 2 adults sharing – 3 adults can use this space but please only bring two friends that you would gladly share a 3 person tent with! Note there is an extra charge for the third person. The best way to prepare for a few nights in the Sleepy Hut, is to treat it like a proper camping trip. You will still need to bring sleeping mats, blankets or sleeping bags, towels, cooking equipment etc. But you can leave your tent behind! 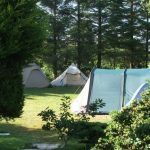 Whilst camping equipment and bedding is not initially provided, it can be arranged ahead of your stay with a small surcharge. 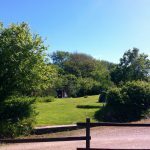 We have camping equipment and bedding available for hire – please contact us to discuss your needs. 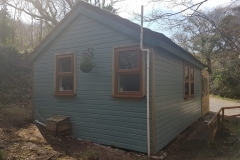 There is a free Campers kitchen for your use with dish-washing area; fridge, freezer, small oven with two electric hobs, kettle, toaster, and various cooking utensils to borrow if needed during your stay. Free hot showers, all day – no coins or tokens. Foraging onsite with permission – please speak with us first to help ensure environment sustainability and stability. Pets can stay in the hut and are welcome free of charge permitting their waste is cleared up and disposed. Onsite, dogs must be kept on a lead. 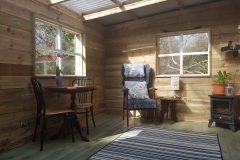 Our guests have the exclusive use of the hut, stone chip patio area and small garden area. Shared kitchen and bathroom facilities – with other campers. Guests are welcome to roam the 5 acre property and can access the nearby river from our private pathway. We always aim to be present for your arrival and are happy to direct you to all that the area has to offer. On any occasion that we will not be available to greet you, we will arrange for someone else to be there if possible. We believe it’s important to give you the privacy of the cabin as your own space, but welcome the chance of making new friends. We are often found outdoors working somewhere on property and always approachable. There are spare gardening gloves and wellies if you feel like joining in! 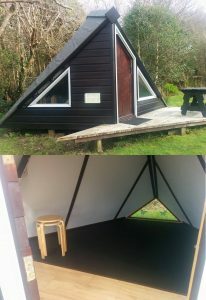 The Sleepy Hut is available for €30 per night based on up to two people staying and weekly rates are available. Only suitable for 3 people maximum, the additional person is €10 extra and pets are free of charge. If you would like to book direct, please contact us via email hello@sleepyhollows.ie, or call 00353 852523126. You can secure your booking by providing your payment card details over the phone, or we can email/text the bank account details to make a money transfer. 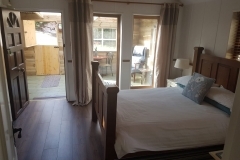 You can also book online with Airbnb via this link – https://www.airbnb.ie/rooms/33451313 (Airbnb will charge you a small service charge for your online booking allowing you access to their services such as 24/7 support). Stay in the Sleepy Cabin – see image gallery below. 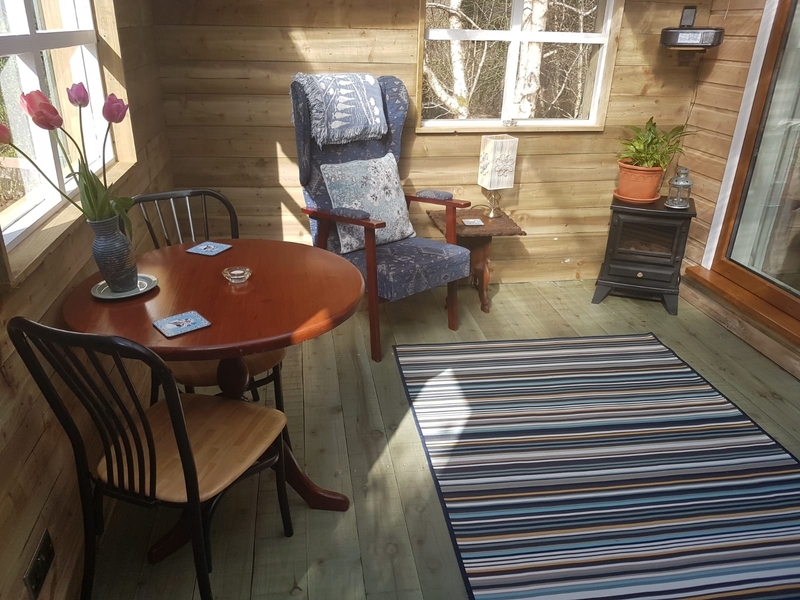 Back to nature – ‘Sleepy Cabin’ is a cosy one bedroom cabin nestled in a peaceful woodland setting known as Sleepy Hollows. 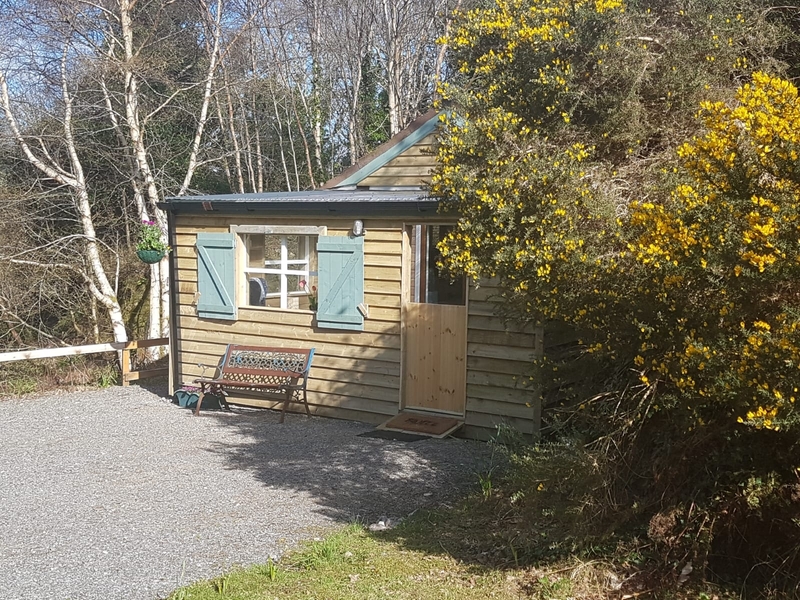 Surrounded by a haven of birdsong, access to river-walk only 150m from the front door, and just off the Wild Atlantic Way – a great base for exploring north-west County Donegal. 3 minute stroll to local pubs Teach Tessie, and Leo’s Tavern. 9 minute drive from Blue Flag beach (Carrickfinn), 15 minute from Errigal Mountain, 25 minute from Glenveagh Castle & National Park. 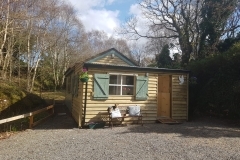 This cosy self-contained space is situated amongst a 5 acre property, nestled in a quiet woodland setting. Recently renovated, we offer a clean, spacious, and comfy home away from home. 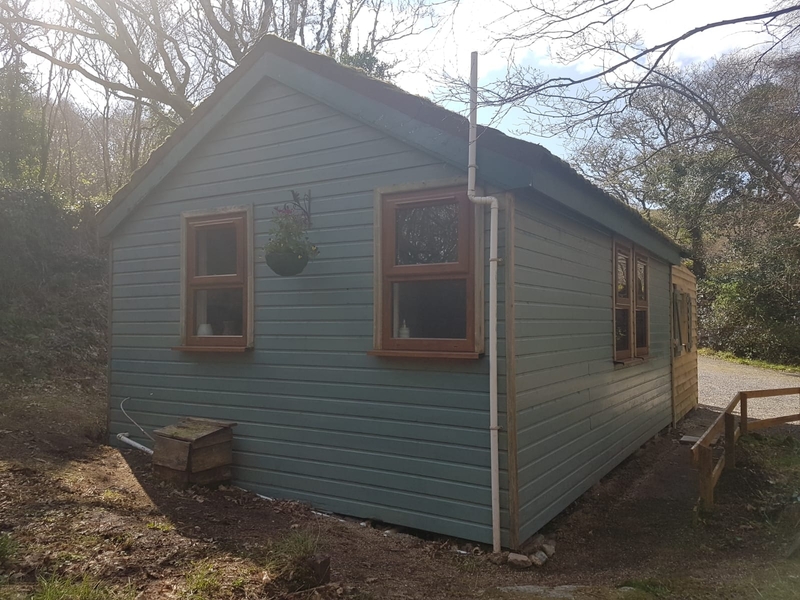 The cabin is insulated so it is available all year round, with electric radiators, warm bedding and hot water bottle for the colder months. 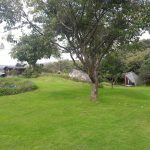 There is a double bedroom, separate sitting and dining room, bathroom with shower, toilet and basin. The kitchen is suitable for preparing basic meals with a 2 ring gas hob, fridge with freezer compartment, microwave, kettle and toaster. 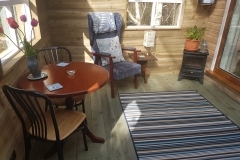 A private garden to the rear of the cabin suitable for barbecues, with private parking for two cars and seating area at the front. 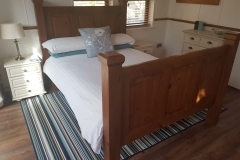 We provide fresh linen, towels, and hot drinks – tea, coffee and hot chocolate. 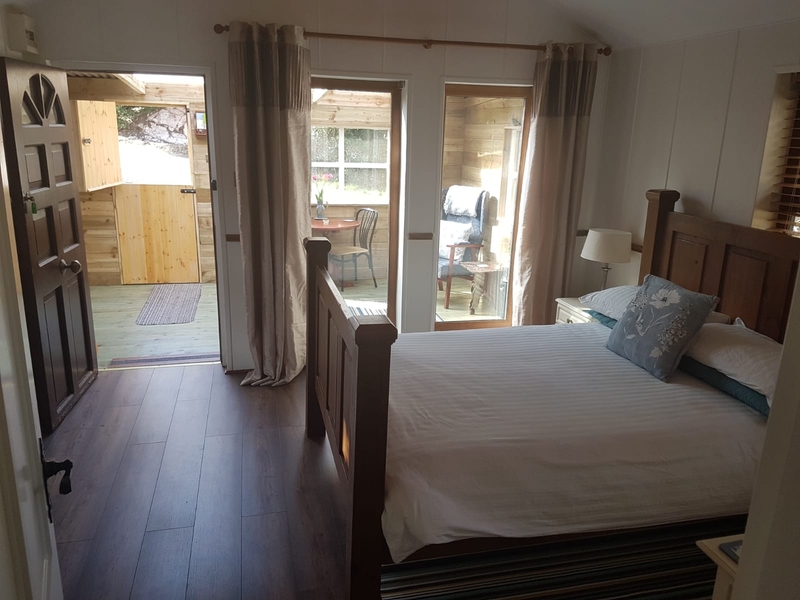 Pets are welcome free of charge permitting their waste is cleared up and disposed, they are kept on a lead onsite and inside the cabin need to be kept off the bed. If you have any special requirements for your pet – please call us to discuss. You’ll need to bring their bedding, and food/water bowls. For those visiting over the Christmas and New Year period – we’ll include a small amount of tasteful festive festoons. Guests can drive straight up to the front door. 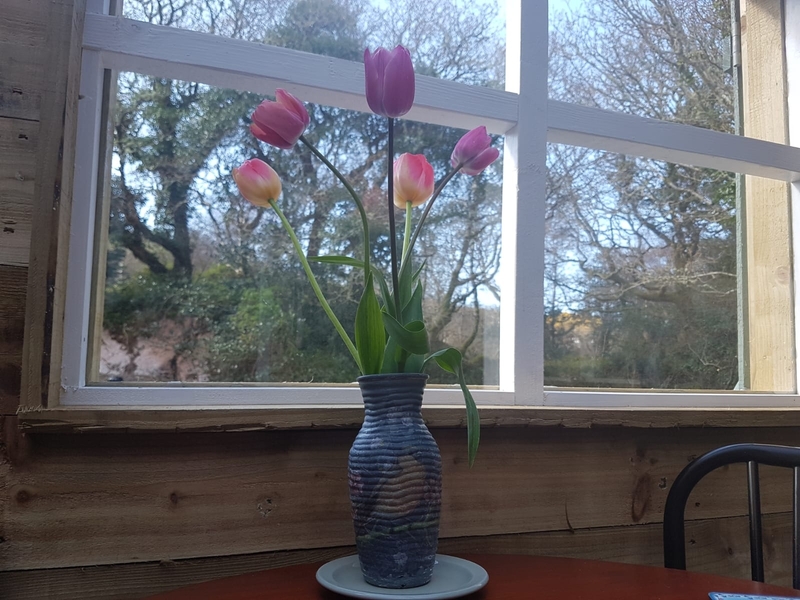 Our guests have the exclusive use of the cabin with its own garden area, and large front area for seating and private parking for two cars. Guests are welcome to roam the 5 acre property and can access the nearby river from our private pathway. 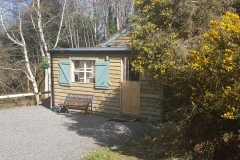 Sleepy Cabin is available for a minimum 2-night stay at €60 per night throughout the year – based on two people sharing. If you would like to book direct, please contact us via email hello@sleepyhollows.ie, or call 00353 852523126. You can secure your booking by providing your payment card details over the phone, or we can send you account details to make a money transfer. 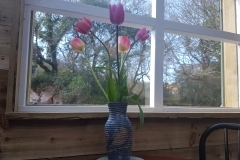 You can also book online with Airbnb via this link – https://www.airbnb.ie/rooms/33447085 (Airbnb will charge you a small service charge for your online booking allowing you access to their services such as 24/7 support).